TWA Terminal, New York International (now John F. Kennedy International) Airport, New York, circa 1962. Photographer Balthazar Korab. 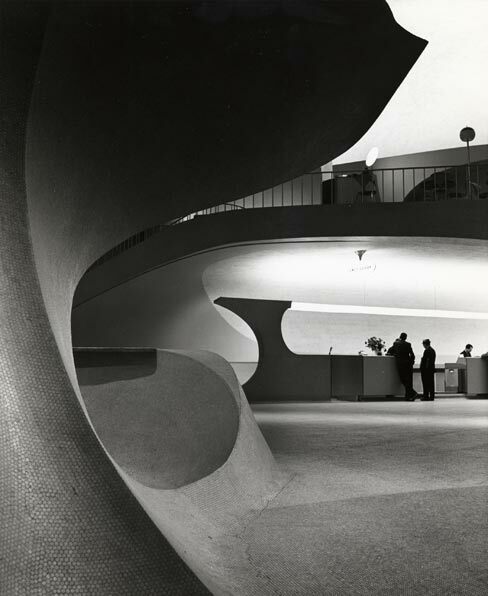 Balthazar Korab Ltd.
Let’s face it. Aesthetically speaking, many of America’s airports are dismal affairs: Concourses that resemble shopping malls. Harshly lit boarding areas with blaring TVs and fast-food smells. And connecting corridors long enough to challenge an Olympic marathoner. But there’s a balm for the senses on view at the Museum of the City of New York. Eero Saarinen: Shaping the Future is the first-ever retrospective of the works of Finnish-American architect Eero Saarinen, who designed the TWA terminal at Idlewild (now JFK) Airport in New York. When it opened in 1962, the swooping modernist flight hub became an instant symbol of jet-set glamour, a white-winged icon of America’s mid-century optimism. In Shaping the Future, photographs, a 5′ x 6′ architectural model, and an unusual made-for-TV “artistic essay” (that aired on the Today Show when the terminal opened) convey the come-fly-with-me experience of the era’s smartly dressed traveling elite. Jefferson National Expansion Memorial, St. Louis, Missouri. Courtesy Eero Saarinen Collection. Manuscripts and Archives, Yale University. Near Washington DC, the futuristic main terminal of Dulles International Airport (completed in 1962) is also the work of Saarinen, as is the iconic St. Louis Gateway Arch (1965). Earlier in his career, Saarinen won critical acclaim for his modern furniture designs; his curvy “Tulip Chair” (which inspired the seating used on the original Star Trek TV series) and inviting “Womb Chair” are still produced today. 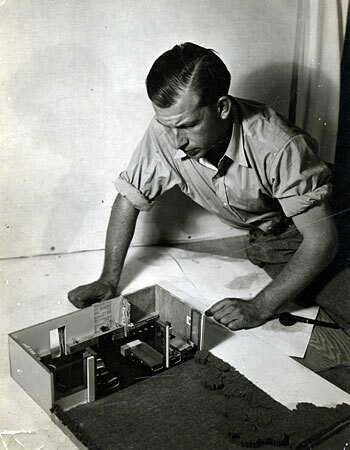 Eero Saarinen with A Combined Living-Dining-Room-Study project model, created for Architectural Forum magazine, circa 1937 Photographer unknown. Courtesy Eero Saarinen Collection. Manuscripts and Archives, Yale University. 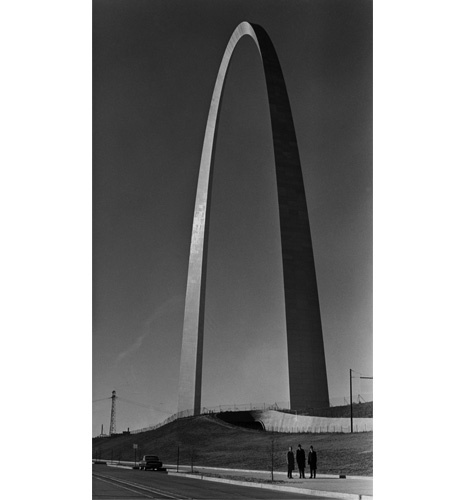 Saarinen’s robust and diverse career was cut short when he died of a brain tumor at age 51, in 1961. Partners at his architectural firm, Eero Saarinen and Associates, posthumously executed some of his most high-profile works. Eero Saarinen: Shaping the Future runs through January 31 at the Museum of the City of New York, 1220 Fifth Avenue, New York City. On February 13, it opens at Yale University Art Gallery in New Haven, Connecticut. DEBORAH HAY writes about art, travel and various environmental issues. She is the former associate editor of Diversion magazine, where her articles about art and ecotourism appear, and a former contributor to Wildlife Conservation magazine. She lives in New York City.